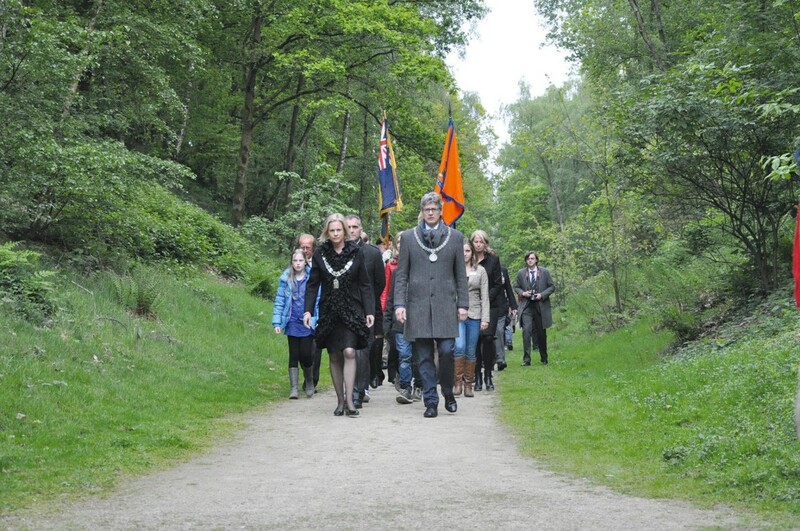 A visit to Kamp Amersfoort makes an impression and makes you think. How could this happen? Who was the victim, the perpetrator or the bystander? Perhaps the roles overlap? What does this mean today? We live in a free country and have done so for a long time, but what does freedom mean? The surrounding area of the former Kamp Amersfoort lends itself wonderfully for a leisurely walk along the various monuments and remains of the camp. There are informative signs on the grounds which provide information and an explanation regarding the specifics of the area. These signs offer you the opportunity to wander around on your own and gain knowledge while doing so. Perhaps you would prefer to have an experienced guide? You can join a public tour or a group tour. Click here for the registration form. 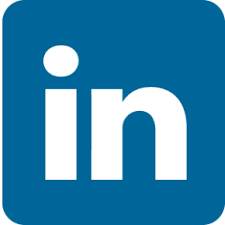 from 1 March to 1 November at 1:30 p.m.
from 1 November to 1 March at 1:00 p.m. Registration for a tour is not necessary. The tour costs €3.00/person. Children up to age 12 may join the tour free of charge. 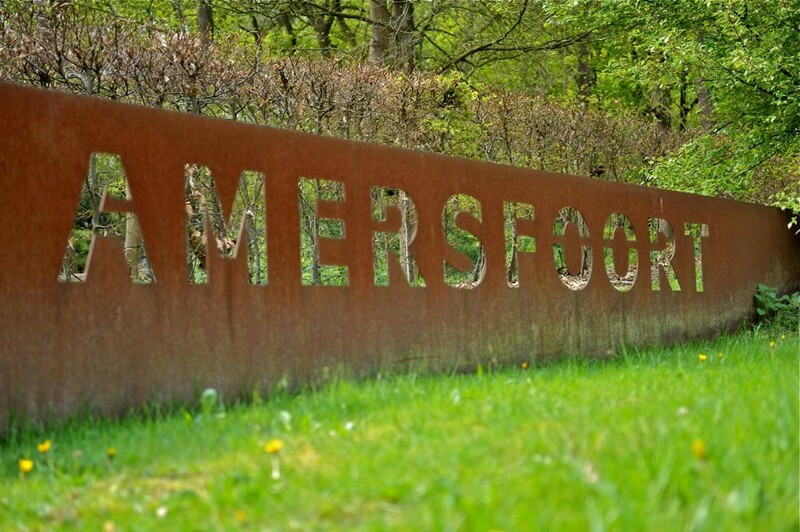 During the tour you will learn about the occupation, restriction of freedom, persecution and resistance and the stay of prisoners in Kamp Amersfoort. Remains and monuments on the grounds illustrate the events from the history of this place. The tour starts at the visitor center on Loes van Overeemlaan 19 in Leusden. When the tour is completed there is the opportunity to view documentaries in the visitor’s center. Please note: guided tours are in Dutch. If another language is required please let us know in advance. There is no charge for tours on 4 and 5 May. The tour start at 11:00 a.m. on both days. A new tour starts every half hour. The group tours are available by appointment only. 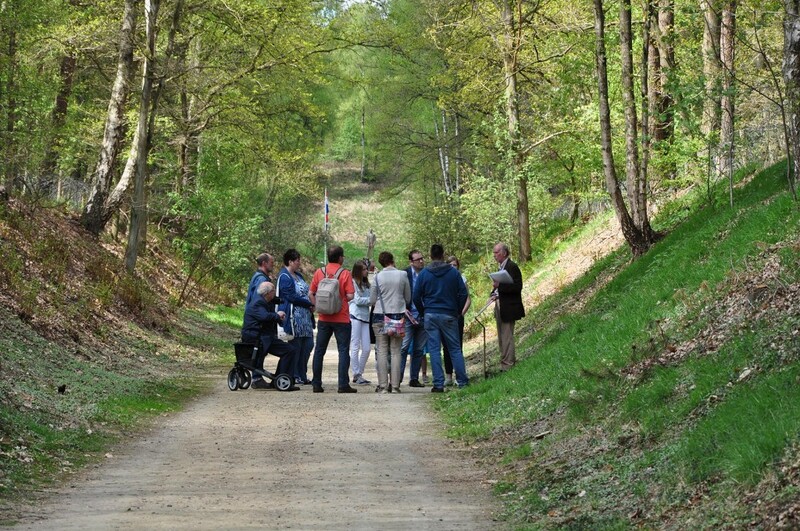 To arrange a group tour contact Kamp Amersfoort by email, info@kampamersfoort.nl or phone 033-4613129. You can also make your request using the application form. Click here. Group tours for elementary and secondary education: € 25 per guide (per group of max. 15 participants). Other groups: € 35 per guide (per group of max. 15 participants).